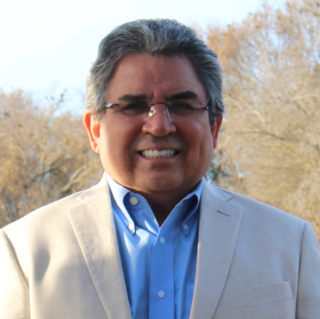 In his challenge of incumbent and fellow Democrat Stephanie Nguyen for Elk Grove's City Council's District 5 seat, Orlando Fuentes has faced an uphill battle in fundraising. In a report filed this week with the Elk Grove City Clerk's office, Fuentes gained a little ground. According to a report filed on Wednesday, September 19, Fuentes reported a donation of $1,000 from the Harry S. Truman Club in Sacramento. That club is one of many under the umbrella of the Democratic Party of Sacramento. A stalwart of the Democratic Party, Fuentes has received the endorsement of several Democratic clubs in his challenge of Nguyen including the Elk Grove-South County Democratic Club. Although Nguyen also identifies as a Democrat, the party has not embraced her candidacy after she endorsed Republicans Scott Jones in the Sacramento County Sheriff's race, Ann Marie Schubert for Sacramento County District, and Elk Grove Council Member Pat Hume who is being challenged by Democratic candidate Andres Ramos for the District 2 seat. Prior to this week's contribution, Fuentes' previous report was for the six month period ending June 30. As of that disclosure, Fuentes had $5,780. Fuentes has not seemingly placed any lawn signs as of this posting, but he has been supported by Elk Grove Mayor Steve Ly who included him as part of Democratic slate on a four-page glossy campaign piece and a widely distributed reusable grocery shopping bag. Ly, who has no reelection support among his fellow city council members, is advancing an all-Democratic slate that includes Fuentes and Ramos.